Orthodontic Examination And Treatment Planning at Cambridge City Orthodontics. 1f Brooke House, Kingsley Walk, Newmarket Road, Cambridge, CB5 8TJ. Konstantinos graduated from the National and Kapodistrian University of Athens in 1997. After one year of military service in the Oral Surgery Department of the Naval Cadet Officers Academy in Athens, Konstantinos worked as a general practitioner at his private practice. In 2007 he moved to Germany where he trained for two years at a specialist orthodontic center in Rheda-Wiedenbrueck. After that he successfully completed the Master of Science Degree in Orthodontics at the prestigious Guy’s Hospital in London. 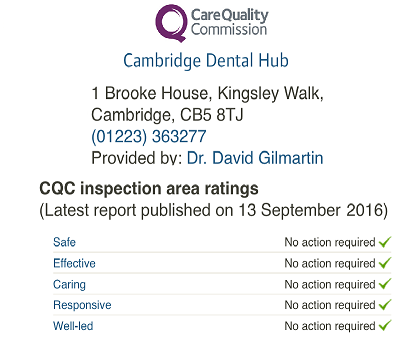 The Cambridge Orthodontic Practice aims to be as open with our fees as possible. We like patients to have as much information in advance and make sure there are no surprises. Orthodontics is usually quite expensive and we realise that patients make their decision on costs as well as quality. We also recognise that all the local Orthodontic Practices offer high quality care so it makes sense to "Shop Around"
A major reason for choosing us is that we offer late evening and weekend Appointments at no extra charge. We will normally at least match another Orthodontist's Orthodontic Treatment Plan Costing. Also because we are a "One Stop" Dental Practice we can offer the full range of treatments and patients avoid the extra costs of going to various diferent practices. Prof. G.Scuzzo. 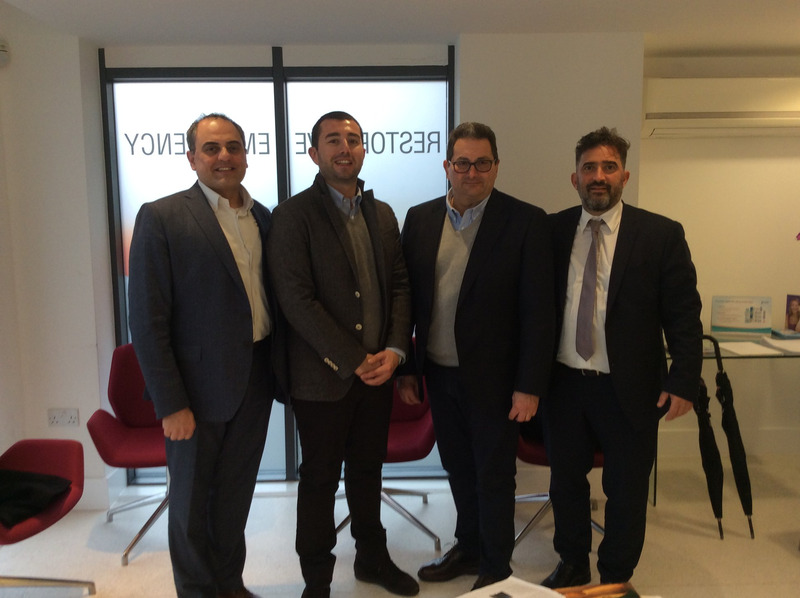 A great team providing bespoke teatment in both our practices in Cambridge and Milton Keynes, empowered by Dr. Giacomo Scuzzo,and Dr.Konstantinos Tzamalas, supported by Mr. Antonopoulos George and FN Orthodontics and Fragiskos Douloupas. A vision coming true with the help of the principal dentist and practice owner Dr. David Gilmartin. A "Lingual Orthodontics Open Day" soon to be announced!! Dr. Giuseppe Scuzzo, graduated in medicine in 1983 (Rome University), specialized in dentistry in 1987 (Rome University) and orthodontics at Ferrara University. He has always worked exclusively in orthodontics, with a special interest in lingual orthodontics since 1983 . He is adjunct professor in the lingual technique at Ferrara University and adjunct Professor at Complutense University Madrid. He is also director of the First International Master in Lingual orthodontics at Ferrara University and Co-Director of the PG Program in Lingual Orthodontics at the Complutense University of Madrid and teacher at MASLO (Master Advanced Study Lingual Ortho.) Basel University Swiss. Dr. Scuzzo has spoken and published extensively in Italy and abroad on lingual orthodontics and published 70 article about this technique he also published 3 books about lingual orthodontics translated in 6 languages. 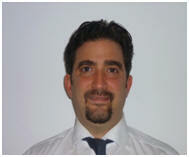 Dr. Scuzzo has a private practice limited to lingual orthodontics in Rome, Italy. Fellow member of the Royal College of Surgeons of Edinburgh. ALIAS lingual straight wire, the first passive self-ligating square slot brackets and plane lingual arch-form, offers the doctor a better biomechanical control, making treatment easier and simplifying the clinical procedure. By using Eline System, digital accurate bracket placement coupled with minimized wire bending will reduce chair time, improve quality, predictability and patient comfort. 1 Brooke House, Kingsley Walk, Newmarket Road, Cambridge CB5 8TJ.